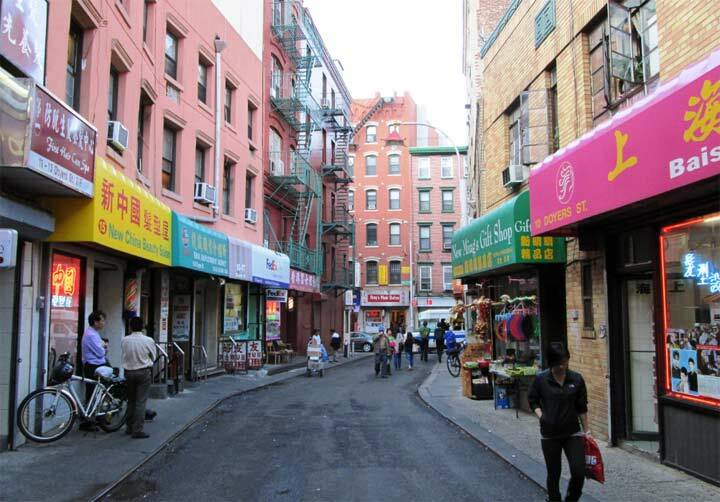 In 1887, developer James Sparrow built a row of 21 four-story brick buildings along the south side of Greenpoint Avenue, just east of Franklin Street. 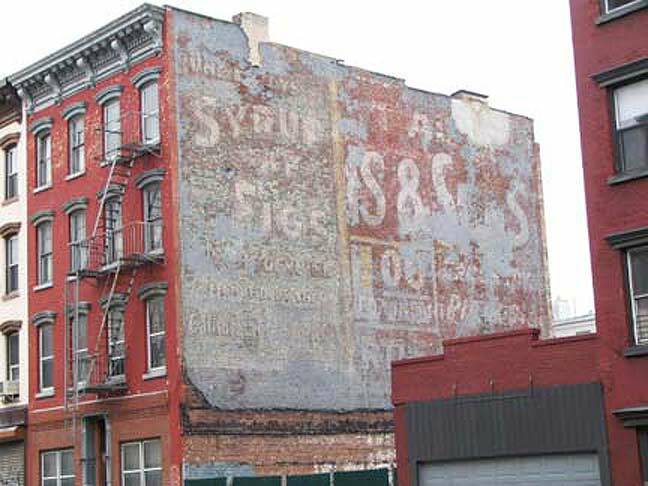 Probably soon after that, a couple of large painted ads, one of which advertised Syrup of Figs, appeared on the westernmost building, visible from Franklin Street. There’s also a large painted ad for a product I can’t identify on the right side of the ad, but it looks as if it’s been there equally as long. Though this ‘faded ad’ has been visible since I began FNY in 1998, it’s about to be covered up, as Miss Heather notes in Newyorkshitty, a four-story, eight-unit apartment building is about to be constructed on the adjoining lot. If the new building doesn’t make contact with the older building, at least the ad will be preserved, and when George Jetson discovers it in 2154 when the new apartment house is torn down, an ad from 1900 will once again be able to beguile and bewilder modern-day residents. “Syrup of fig,” the laxative, was such a common product a hundred years ago, in fact, that in cockney lingo in London, it became rhyming slang for “wig,” as in “That’s a poor ‘syrup’ that that bloke’s wearing on his noggin, innit?”, and the expression can still be heard today. There was also a Syrup of Figs ad on the side of a building facing the Gowanus Expressway from the south as it approached the Brooklyn Battery Tunnel. I don’t know if it’s still there, but I remember seeing it in the 70s and 80s.